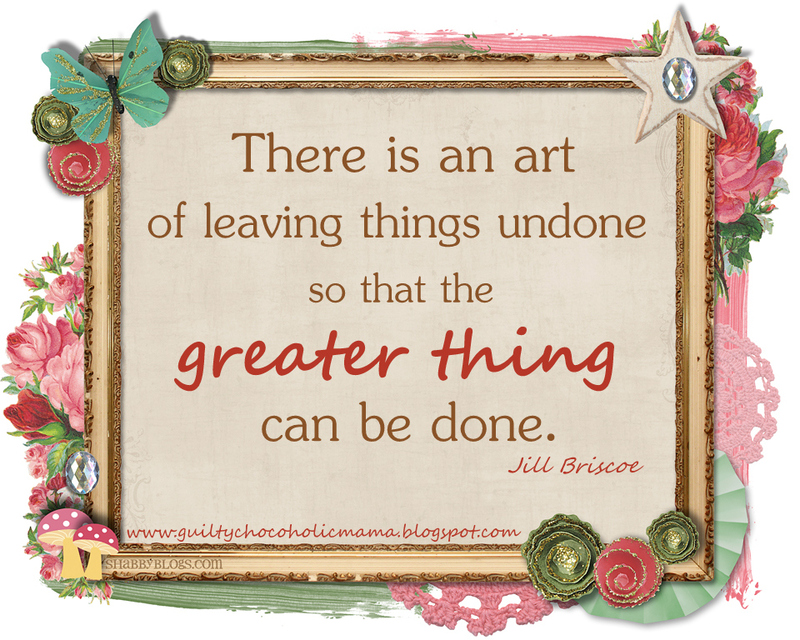 Blessed in the Mess – Being real about motherhood…one day…one mess at a time! 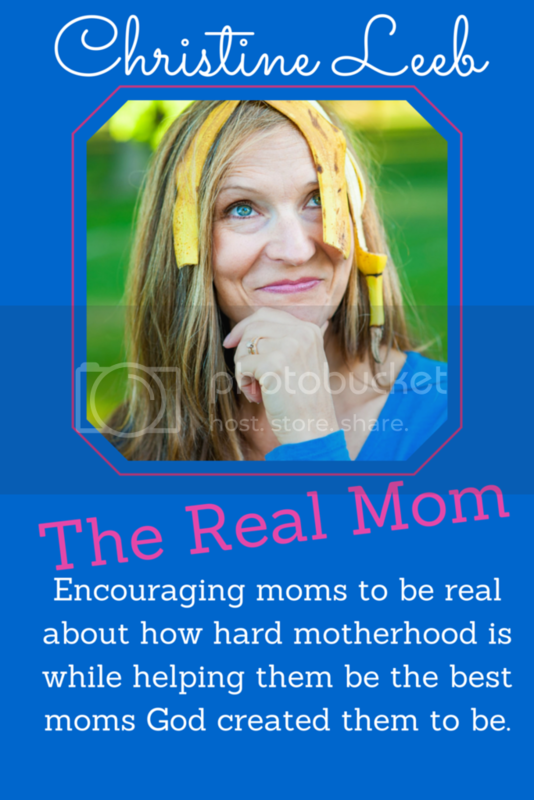 Being real about motherhood…one day…one mess at a time! Ok-let’s be REAL! We would all love flowers, alone time, appreciation, special attention, togetherness, and of course, some sort of chocolate for Mother’s Day, but let’s talk about what we don’t want for Mother’s Day instead, shall we? Dishes: I do not want to wash one dish for Mother’s Day. Not. One. Dish. Let me take that back. I don’t want to wash, dry, or put away any dishes. I don’t want to even touch any dishes for any reason. I feel that I have a constant pile of dishes in my house—either dirty ones sitting in the sink, clean ones in a huge pile ready to be put away, or ones sitting in the dish washer waiting in the darkness for me to finally pay attention to them. Dishes are in constant waiting for me to notice them and take care of them, and this Mother’s Day, let’s give each other permission to pay no attention to the dishes whatsoever. Laundry: Talk about waiting for me to pay attention to it…the laundry is ALWAYS THERE lurking in every closet waiting for the day that it will finally stop smelling, get noticed, and get thrown in to be washed. Then, it needs dried. Then, it needs sorted. Then, it needs folded. Then, it needs to be put away. In fact, laundry is needier than my own children, and so moms, let’s not do anything with the laundry tomorrow. Let’s not even think about it! Cooking: Why oh why do our kids have to eat so many meals and snacks throughout the day? Just as I get one meal cleaned up, it’s time for the next snack. Just as I get the snack cleaned up, it’s time for the next meal. It’s endless. Let’s not cook at all tomorrow. I’m talking keeping things simple—cereal, sandwiches, cheese and crackers, done! Let’s allow someone else to cook for us if they want to, but let’s not get out one pot or pan or turn on the stove even once! Fighting: Can’t we all just get along? Please, kids, please! I don’t want to break up one argument or referee one disagreement or moderate one misunderstanding. Nothing. I just want peace and quiet and laughter and joy and smiles and giggles and fun and compromise and helpfulness and respect and love! Is that too much to ask for just one day? Moms, let’s just turn on the TV or get out the tablets and do whatever it takes to just have some peace and quiet around here! While we take a nap! Lord, thank you for the gift of motherhood. We love and appreciate our kids. We take our responsibility as a mom seriously, but Lord, we need a break. Fill our kids with contentment. Give us ways to simplify. Give us room for rest and bring peace to our homes. Amen. Is anyone else none too thrilled about getting your body ready for spring? I don’t know if it’s because I’m in my forties, or because I don’t exercise (and actually hate doing it) or if it’s because I have absolutely no will power whatsoever and make no excuses for the amount of brownies I consume…maybe it’s a combination of everything perhaps? Either way, I do like to do some things to get myself ready for spring and it doesn’t involve a huge exercise program or diet change, but it does involve just a few things that makes me feel more confident about myself. And let’s be real…in the messy, chaotic, daily grind of motherhood, taking time to take care of ourselves can get put aside…waaaaay aside. So promise me that you’ll take some time to focus on you in the next few weeks. Do something for yourself that makes you feel good. PAINT YOUR TOENAILS: Whether you go and get a pedicure or just do it yourself, get your feet ready for flip flop weather! Pick out a pretty spring color and even give your feet a little massage. SHAVE YOUR LEGS: Confession–the last time I shaved my legs was for the the 14 Ways to Love Your Husband Like A Boyfriend Challenge back in February. And before that…well who knows. It’s time. It’s time. I’ve even had dreams about the hair on my legs being longer than the hair on my head. Oh my. If I’m thinking about how long my leg hair is in my sleep, it’s time to do something about it. I just hope I don’t clog the drain. GET A NEW DO: I’ve been blessed to be able to do my own hair (mostly because I’m cheap, but also because it’s convenient). My salon is always open and can make changes any time to please the perfectionist customer that I am. So whether you do it yourself or make an appointment at your hair salon, get a new cut or add some highlights or maybe both. It just makes you feel good! START WALKING: I mentioned before how much I hate exercising, but I do enjoy walking and need to do it more often especially now that the weather is getting nicer. Make some time in your day to walk. Enjoy the sunshine and fresh air and possible quiet time if you can manage to do it without kids. No matter what you do, I pray you take some time for you! 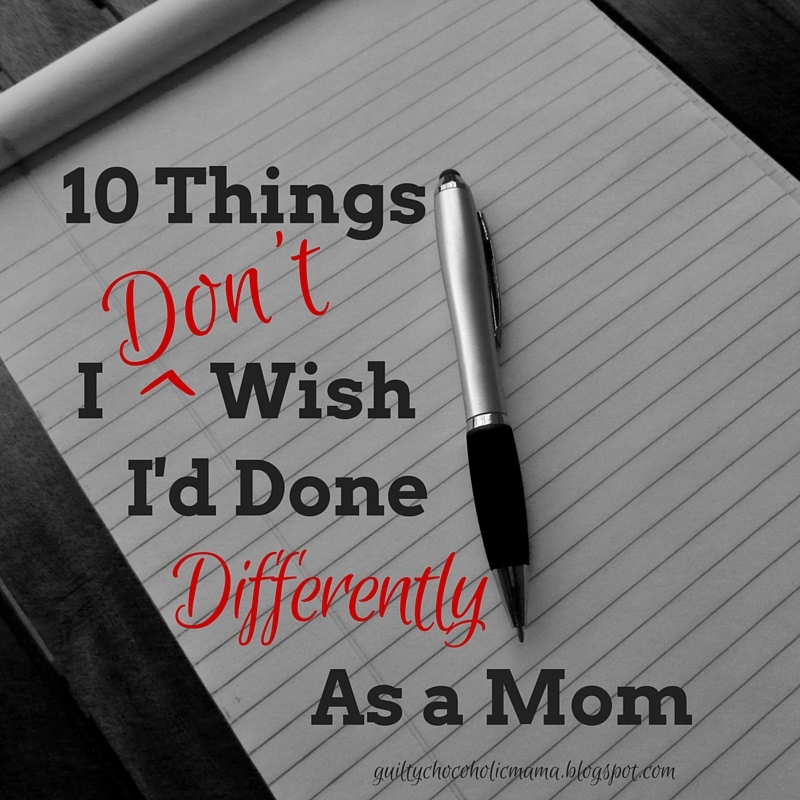 The other day, I Googled “what I wish I’d done differently as a mom” and got 10 million results. Apparently, a lot of moms have a lot they regret about their mothering. Apparently, as a parent with some mom mileage on me, I should be writing about my own regrets and done-differently wishes. And, mercy, do I ever have them to write about. I’ve messed up and made bad decisions and taken wrong turns more times than I can count. But with 29 total years of motherhood racked up, I’m so thankful to be able to say there are a few things I don’t wish I could undo, by the grace of God. These things I have done and things I haven’t done have worked for me and for my girls and for our family. Some of them may be deal-breakers for you. Some of these may be non-negotiables at your house. You may read this list and think, “Good grief, woman! Have you no shame? How can you possibly not regret this? !” Which is okay, actually. 6. Set the bar of expectations low. From family vacations to the house we live in to back-to-school wardrobes to Christmas gifts to birthday parties, our secret to family contentment is pretty simple: promote low expectations. Our thinking was—and continues to be—that if we set a low bar for what is good and satisfying and acceptable and worth looking forward to, contentment would probably follow. If my family expects M&Ms, and they get triple chocolate layer cake, they’re thrilled and pleasantly surprised and think I am the greatest mom ever. But if they expect the cake and all I deliver is the candy, they’re disappointed. I’d rather exceed low expectations than fall short of high ones. 7. Was “lax” about reading to my babies and toddlers. I knew I was supposed to read to my children…poetry in utero and then classics with discussion in their teen years. But my girls didn’t particularly care about being read to. They reacted to my dramatic interpretations of Chicka Chicka Boom Boom with approximately the same level of enthusiasm they reserved for having their runny noses wiped. So I gave up. I listened to kid-safe books on CD in the van and around the house, made plenty of actual books available, read in front of them, and left it at that. Today, they’re voracious, enthusiastic, and skilled readers. They’ve both usually got about three books going at once in various formats. Also, they wipe their own runny noses now. It’s all good. 8. Have learned to be okay with my daughters growing up. I well understand the melancholy tug moms feel at seeing their babies mature. I know that tug myself. But whenever I feel sad that my girls are moving from one age or stage to another, I remind myself of something: if I asked any parent who has lost a baby or a toddler or a young adult or a middle-aged child what they would give to “have” to watch that child go off to preschool or middle school or college or a job or their first colonoscopy, I know what they’d say. Anything. They would give anything. Watching my girls grow is a blessing and a gift I try not to take for granted. I also believe this to be true: “There are far, far better things ahead than any we leave behind” (C.S. Lewis). 9. Took—and enjoyed—mom “alone time.” I loved and love being with my girls. But I am a better mom when my batteries are recharged so I have fresh energy to pour into their lives. For me, that recharging happens when I am alone and have a break from some of my maternal duties. And I’m not the only one who has benefited from this occasional separation. 10. Picked my battles. My younger daughter told me one day, “I’m just not gonna get in a big hassle.” I don’t remember what the issue was, but that was how she decided she was going to approach it. That I’ve let so much go as a mom is quite possibly pure laziness on my part, but I like to think I’ve tried to fight the battles that needed fighting. The battles that had eternal significance. I want my girls to pursue faith in God and purity and compassion and self-control and kindness. I really don’t care if they eat an Oreo while they’re doing it. Maybe someday I’ll put together a list of what I wish I’d done differently. (And let me say it again: I have plenty of fodder for that collection. Mercy.) But right now, I’m just incredibly grateful I’ve got a few things to put on this list…a few things I’ve done that I wouldn’t undo. Elizabeth Spencer is mom to one tween and one teen daughter. She’s been married for 20 years to a very patient husband who copes nicely as the lone male in a house full of girls. She avoids working on her 100-year-old farmhouse by blogging about life as an imperfect mother at Guilty Chocoholic Mama and spending time on Facebook. Early on, I would race off to Target for the 86.5 minutes I had between nursing sessions. Later, my husband and I left our girls longer and went farther—to Hawaii, in one memorable instance. I loved being home with my babies, just as I have loved being with them into their tween and teen years. But I wanted my girls to know they could depend on people other than their father and me to love and care for them. I wanted them to have the security and reassurance of a wide net of love and affection and familiarity. Too, those very early days when I lugged the car seat in and out of my parents’ and my in-laws’ houses laid a foundation for closeness that continues to this day. We established this routine from the get-go so that going to church every week was not a decision we had to make every week. It’s just what we did. And it’s what we do. Still, now that my girls are older, I’m not sure there’s any time my family members like each other less than we do on Sunday mornings at about 8:15. My husband is trying to get two minutes of bathroom time to brush his teeth before he backs the van out of the garage because we DO NOT HAVE TIME PEOPLE to wait for that to happen once we’re all in the van, by the grace of God. Meanwhile, I’m running around yelling that we have to leave in two minutes and my girls are being unhappy with their hair and everyone just wants to be back in bed, for crying out loud. In this mood, we set off for church. Because we will not offer sacrifices to the Lord our God that cost us nothing (see 2 Samuel 24:24). My point (and I do have one) is that all this has been worth it. Because it has laid a foundation for faith that I witness growing stronger every day. I see my girls reading their devotions at the breakfast table and leading worship with me and praying and posting inspirational quotes online. And the point of all this is not all this, but that all this is pointing them toward God. They are filling the God-shaped hole inside their hearts with the God Who put it there. Which makes all that Sunday-morning angst so worth it, I can’t even talk about it. 3. Waited an extra year before sending my youngest to preschool. 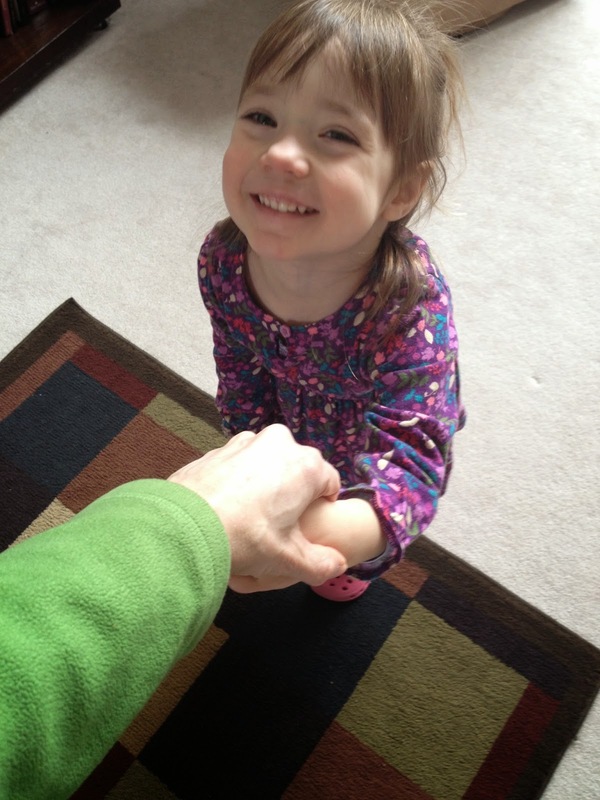 When my second (and last) baby was three, I agonized over where to send her to preschool. I thought every three-year-old needed to be in preschool. I searched all over our area for a program that was a good fit, but most of them started at 8 a.m.—right when I was getting my would-be preschooler’s big sister on the bus. Finally, after endless phone calls, I had a moment of clarity: I did not have to send her that year. I was at home with her. She was learning and growing and developing. We could just hang out for awhile longer. We could do library time, and she could come with me to Bible study and play in the nursery, and we could take naps together on the couch. She could go to preschool the next year, followed by kindergarten. So this is what we did. And thank God for it, because when, two years later, I sent my baby to kindergarten and everyone asked if I was sad, I was able to honestly tell them I wasn’t (much). We had done that “bonus” year together. We had hung out. We had taken the time. And it had been a wonderful gift. 4. Sent my girls to public school. I have so many friends who are amazing home schoolers, and I am in awe of what they do every day…usually before 11 a.m. 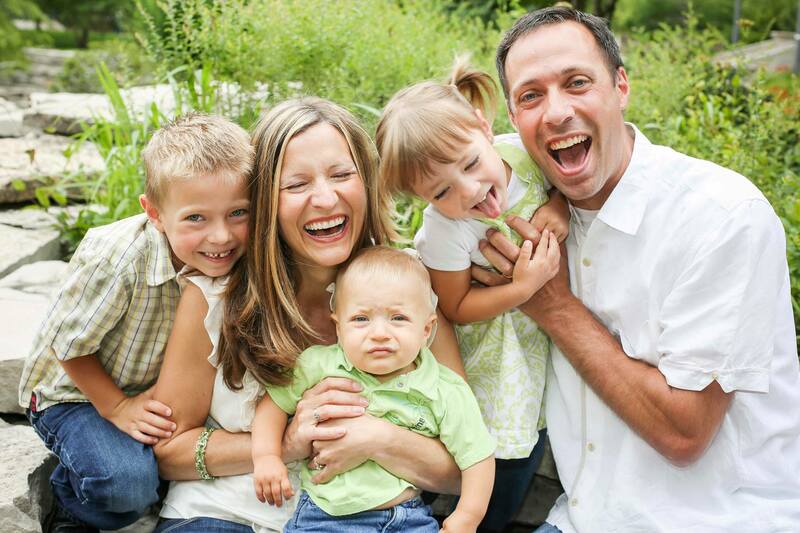 But my husband and I felt very clearly called to be Christian public school parents—a full-time job in and of itself. For one thing, I believe teaching is a gift not everyone possesses to the same degree. And the degree to which I possess that gift would not have gotten my daughters past preschool nametag day. I so greatly admire the talent and training of professional educators and understand that I cannot do what they do. So we intentionally bought a house in a school district we knew and respected and trusted and sent our girls there from the beginning. We have been aware of what our children are doing and learning. We have been involved. The staff knows us by sight and by our first names. I have been PTA mom and room mom and “attendance hotline” mom and band mom and popcorn mom. While I’ve been around, I’ve seen what my girls’ teachers do every day and have been awed and grateful. My daughters have not just had good teachers all along—they have had amazing educators, and many of them have been Christians who have nurtured my children not only educationally but spiritually and morally. My daughters are growing daily in their knowledge of and love for God, and they exercise their faith muscle every day when they are around their public school teachers and peers. 5. Limited my children’s activities. The formula for the way our girls spend their time pretty much looks like this: school + family/home + church + dance + friends = life. Band is the other big component of their existence, but because it is a school activity, the extracurricular time they spend on it is limited. We like being home together as a family, and this requires us to semi-regularly be: 1)home and 2)together. We’ve never done teams or groups that have Sunday practices or games. We’ve never done multiple sports at the same time. We’ve never done anything year-round. This doesn’t mean any of this is wrong. It just isn’t the plan we went with for our little family. I know the pressure to allow kids to try everything and not “limit their potential” is huge in our culture today. And we have created opportunities for our girls to explore various interests in case they became passions. But having afterschool and evening and weekend activities every day of every week of every month was never an option for us. I call this “selective scheduling,” and it has worked for us. For. Us. Stay tuned for 6-10 next week! Ok winter, I’m done with you. The Leeb household is right smack dab in the middle of the”cabin fever” crazies! Three kids cooped up inside for three whole months is wearing on this momma. How about you? And let’s be real–I’d really like to just let them watch TV all day (and I sometimes do), but I also have moments where I want to do something more. What to do…what to do—especially when you’re a not-so-crafty mom like me? You scour the internet looking for ideas only to find that there are mostly very crafty moms out there posting ideas which then makes you feel badly about not being a crafty mom so you pout for a moment and then realize how silly that is and you celebrate that God made other moms crafty and not you and that’s ok because you still have worth and value and can have fun with your kids without being crafty. Whew. (I know, you should live in my head). So, I decided to muster up every ounce of previous teaching creativity that I once had that hasn’t been drained out of me over the last eight years since becoming a stay-at-home mom. Dance: Put on a CD. Pull up a You Tube video. You can even sing some songs if you are the singing type…which I’m not…but maybe you are and just dance-which in our family just means running around in a circle but hey, it’s movement and something fun to break up the day! Blow up Balloons: Serious, cheap fun. You can blow them up and let them fly around the room (I don’t know who laughed more about this–my husband and I or our kids). Or you can tie them and hit them back and forth. My oldest loves to see how many times we can hit it back and forth without touching the ground. Play-Doh: Hours of fun. Yes, I hate the mess. But it’s worth it. Just let it dry and vacuum or sweep it up. Beach Day: Put some towels on the floor. Make a space to be “the ocean” and swim and splash each other. Sometimes, I even blow up a beach ball and let the kids hit it around. They’ve eaten gotten out water wings and goggles. And we even have a picnic lunch on the beach and sit on the beach towels to eat our lunch. You can watch beach day in action with this 42 second clip. Enjoy! Lord, help us to be creative with our kids as we press on to get through these winter blahs! Multiply our patience and energy too. Open our eyes each day to see the blessings right in front of us. Amen. She was exasperated, worn out. Her frustrations bordered anger, and she felt great shame over her emotions – still they flooded. Picking up a damp towel nearby, she wiped her face then said, “I think that I’m most upset that my children ruin my plans each day. And not just my plans for the day, but my plans of being a good mom. They ruin it no matter what I do. They ruin all of the meals I serve by hating what I’ve made and crying at the table. 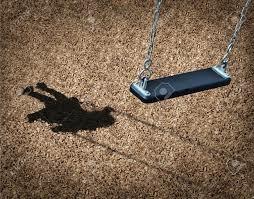 They ruin our trips to the park and our playdates with friends by throwing fits when it’s time to go. I plan so much fun, and they ruin it all by demanding more or different. And I guess, if I’m honest, they ruin my dreams of what my family would be like. I had such good dreams. I’ve dreamt of being a mom for so long, now here I am and there aren’t any peaceful, happy tuck-ins, no Bible reading at the breakfast table – not without more fits! Everyday I’m disappointed, frustrated, and angry. I feel abused! Some days I just want to throw in the towel.” And she did throw down the tattered towel in her hands, with a pathetic little moan. I smiled, leaned in, and hugged her. I hadn’t thought of it that way before, but as she shared I believed she spoke the unspoken emotions of many moms in many homes today. In the quite morning hours, when God’s mercies are new, I know that I am not a victim, I’m simply a mom. The same is true for my young friend, and the same is true for you. Still, we find ourselves forgetting by mid-afternoon, hiding in the pantry with a handful of chocolate chips. So, here’s a question for you: Do you take everything personally? Maybe you don’t mean too, but do you REACT as though you’re the victim… all the time? And do you retreat behind your phone, in your pantry, in your anger, in this victim mentality each day? Your husband comes home from work late… and you’re the victim. Your children don’t like what you cooked for dinner… and you’re the victim. The kids can’t find their shoes, their socks, their backpacks… and you’re the victim. Your gifts weren’t well received this Christmas… and you’re the victim. You planned a cookie making afternoon with friends, and it’s just a mess and the kids would rather tear up the toy room… and you’re the victim. It seems ridiculous when typed out like a confessional. But does this resonate at all? Ladies, here in the stillness of this simple blog post, let me remind us both that we aren’t victims… we’re moms. Thwarted expectations are part and parcel when taking care of a family full of real live little people. It’s hard, yes, but the majority of us are not abused. Your children don’t wake up in the middle of the night and gather round the baby’s crib to plot ways to dash your dreams and destroy your day. They aren’t contriving fevers, or purposing fits -though it does sometimes feel that way. They are simply being children, and they need you to simply keep on being mom. The goal each day is faith, hope and love. And the greatest of these is love. And victims have a miserable time loving gently and lavishly. We’re not victims, we’re moms. For more about this victim mentality, continue the series “You are not a victim, you’re mom” here. If you struggle with anger in your home from the sheer effort of it all, if you find yourself yelling at your little ones, feeling like a victim, and weighed down by shame, I encourage you to order a copy of TRIGGERS: Exchanging Parents’ Angry Reactions For Gentle Biblical Responses, today. Triggers was co-authored by Amber Lia and Wendy Speake. CLICK HERE TO ORDER NOW! 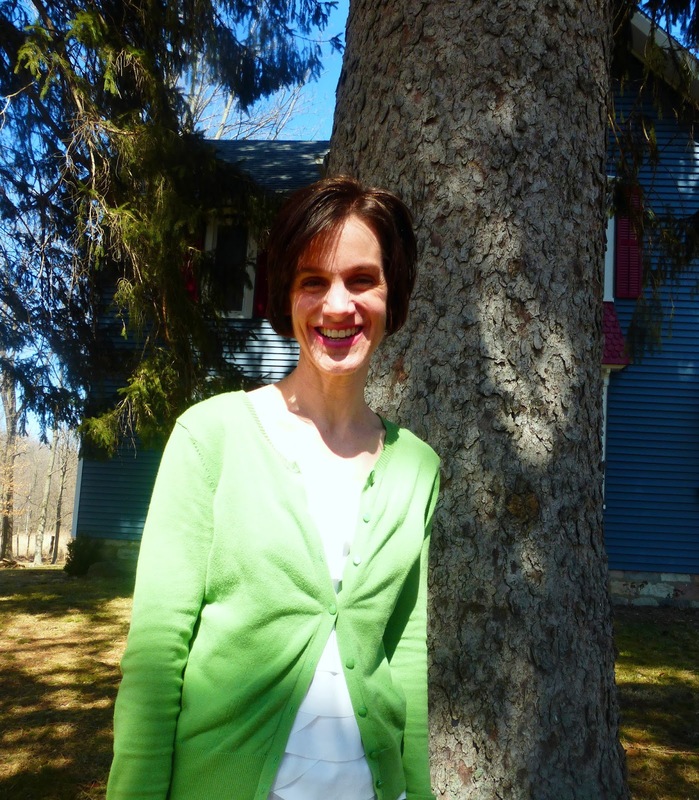 Wendy Speake is a trained actress and heartfelt Bible teacher. She tells stories both on page and stage that allow her to point women toward Jesus on their hardest mothering days. You can follow along at WendySpeake.com or find her regularly as a guest at The MOB Society. Wendy resides in sunny San Diego with her handsome husband and their three ruddy boys. As a new mom of two, I feel too much and not enough. There is not enough of me to go around. Not enough hands to hold the nursing baby and pull down my toddler’s pants so he can go potty. Not enough time to clean and play. Not enough mind space to handle the concerns of parenting and school work. Not enough patience. Not enough energy. Not enough sleep. And sometimes, though I try to drown out the accusations and whispers in my head, my mind tells me I am too heavy. Not too too heavy… but needing to lose say 10 lbs. Which is ridiculous because sure I am 10 lbs heavier than I was prior to pregnancy, but I am healthy, and look healthy, and fit into most of my old clothes. Nobody besides me and my scale could probably even tell that I am indeed any heavier at all. As a woman whose life was controlled for years by an eating disorder, these are scary thoughts to me. Losing weight never makes me happy… it just makes me want to lose more. I know this about myself. I know that focusing on a number on a scale is at best a worthless distraction, and quite possibly dangerous thinking. And the real question is one of motive. Why does it matter to me that I return to my pre-baby weight? The answer is that for some crazy reason I feel safer ten pounds lighter. I feel more acceptable, more worthy of love and that losing weight will somehow make me enough. When I feel so inadequate, it helps to focus in on the detail of weight loss. In my mind I begin to believe that losing weight will suddenly make me better to the world at large. Which is so dumb— as if all I have to offer to the group is me, small and smiling. Sometimes I do feel that way, like I can’t string two words together, and I am not beautiful, and I don’t have the right clothes… but at least I am small”ish” and seemingly happy. And based on the images that pour into our homes through the media, being thinner makes me more okay despite my feelings of being a failure. Of course admitting these thoughts on paper shows how false they are. The process of writing them down is just to show myself how crazy I would have to be to believe them. When look at this compulsion for what it is, the promise of thin is empty. Just like I have literally NEVER cared one iota what anyone else weighs; nobody cares about those ten pounds, but me. Still it matters that I care. It matters because I can hurt everyone who watches my life if I allow the pursuit of weight loss to be the thing I cling to for safety. No matter how much weight you lose, it will not increase your value as a person. No matter how much weight you lose it will not keep you safe from rejection. If my life, if my language, reflects that I am only secure and acceptable if I am a certain size or weight— then I am promoting the lie. I believe we all were made in the image of God. His Image makes us invaluable. His acceptance makes us beyond rejection. He is the Security we need in a world that makes us feel insecure. He is the Love that we need to overflow in our homes, to cover over our human efforts to be the perfect moms, to love perfectly. He is Enough. He will always be enough. We really can stop striving after the empty things of this world and rest in Him. In Him, I am enough. And dear mom, in Him, you are enough too! Sarah Schiro enjoys writing when she can squeeze in the time— which between being mom to a toddler and an infant and studying to become a nurse is not as often as she would like. Being a busy-“worrier,”writing is one tool she has found which allows her to frame her thoughts in the context of the truth of the gospel. I was running late…AGAIN. I’m sure I was looking a little frazzled. I had my youngest on my hip. I had the other two holding hands by my side as I walked in the door of the church. “Is it grandma’s day with the kids?” a voice asks. “Surely, she’s not talking to me?” I thought to myself. For the first time this week, I had on a cute outfit. I had make up on. My hair was fixed. I was wearing jewelry. There was no way I could be mistaken for a grandma again…not today at least! As I looked over to see if she was indeed talking to me, she was staring right at me. Noooooo! Not AGAIN???? I screamed inside myself! “Yes. Yes they are.” I said and quickly moved forward. And I huffed back to take MY KIDS in the childcare room…ticked off! And then I reminded myself again that mathematically, I could be a grandma…friends my age are grandmas so I shouldn’t be so offended. I am an older mom and that is just a fact. I also realized that I must need to get more sleep or something too! Because this is no isolated incident. I can’t tell you how many times I’ve been asked if I was the grandmother of my own children. The worst one, though, was when I was asked if I was the mother of one of my friends! And she is only a year and a half younger than me for cryin’ out loud! It’s very discouraging to realize that I think I’m ok with getting older and then someone says something to me about being a grandma and I let it upset me. Any time these comments are made to me, I find myself replaying them in my mind all day long. Even as I’m writing this, I’m feeling myself getting a little huffy. What’s my problem? Why does it bother me when people keep mistaking me for a grandma? Grandmas are awesome! I sure hope to be a grandma someday, but it’s just the fact that people see me and their first impression is…old. And so, I must confess my frustrations about this whole aging thing to God, once again, because that’s really what this is all about. Why oh why does my face have to get so wrinkly? When oh when did my hair get so gray? How oh how did my body shape change so drastically? (Oh that must be due to all the Halloween candy and brownies I allow myself to eat without exercising because I forget that I don’t have the same metabolism as I used to). 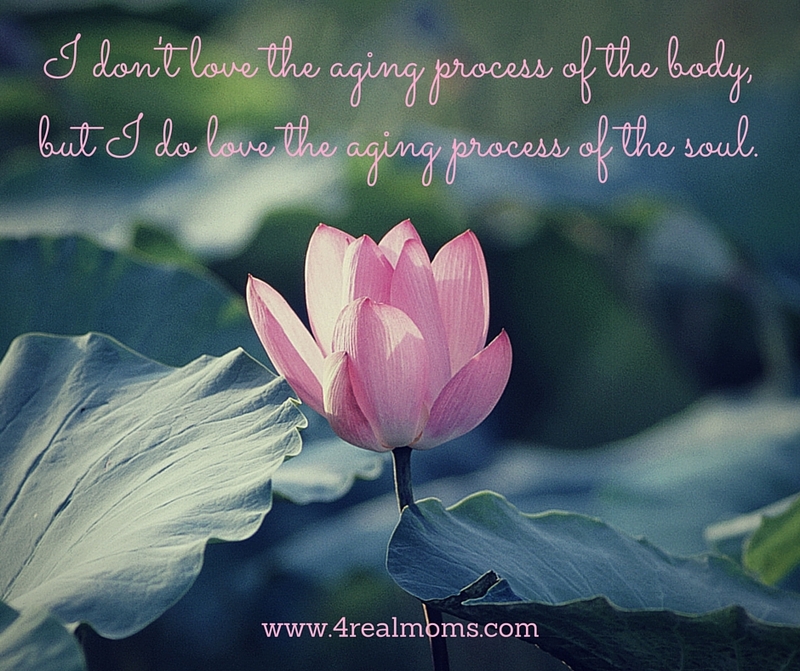 I must continue to remind myself about the good that comes with getting older, and even though I don’t love the aging process of the body…I do love the aging process of the soul! I really do! My old-fart soul is wiser and has a better understanding about life, priorities, and the vastness of God’s unconditional love. I have more of an acceptance of who I am and how God created me to be. 1. You can pray. Ask God why this comment is messing with your mind and ask Him to see the blessing in it if there is one. Does He want to use this comment to help you grow in any way? If so, listen. God can absolutely use comments to highlight an area in our lives that He wants to prune or weed out, so we can grow stronger in Him. If not, then ask Him to take the comment away–out of your head and out of your heart–and replace it with His truth! 2. You can choose your attitude. You choose to be bitter or be better. It’s your choice. You can choose to live in the “betterness” that comments can bring into your life through growth or through the maturity to ignore them. You can choose to let it ruin your day (like I have done–it’s no fun) or just be grateful for each day. Move forward. Look ahead. Count your every blessing. Shake it off. Breathe. 3. You can laugh. If God has no purpose for that comment in your life, than laugh it off! “Water on a duck…water on a duck…water on a duck!” Repeat that over and over and visualize the comment rolling off your back. That image always makes me laugh–never mind the fact that I also visualize that the comment splashes on top of the person’s head. For me, I can cry at the fact that so many people think I need to be wearing Depends or I can depend on the good Lord to uplift and encourage me. I can pray that He continues to fill me with His wisdom and understanding that only comes with age and life experiences. I can choose my attitude when people ask if I’m a grandma. I can be grateful that I must look wise and just go about my day. When I feel down, I can rely on the good Lord to whisper into my ears His precious words of affirmation knowing that He has a purpose for this old geezer in this world. And I can laugh. Oh how I hope I can laugh the next time someone calls me a grandma. I hope I can just grab my bifocals and God will allow me to see it all in perspective in the grand scheme of life. And I hope that the next time someone throws a negative comment your way, you’ll know what to do too! Lord, show us the blessing in the messy comments we get from others. Allow us to put them through your Holy Spirit filter and grant us wisdom to know what to do with them. Help us to embrace our aging bodies and be joyful of our aging souls. Allow us to live our lives with confidence in You no matter what anyone says about us. You love us unconditionally. Help us to love ourselves unconditionally too. In Jesus’ name. Amen. A few weeks ago, I told a mom friend I was hosting a sleepover. I confessed to her that I rarely let my daughters have them because I always get all worked up about what the girls will do and where they’ll sleep and if, heaven help me, EVERYONE IS HAVING A GOOD TIME. “I don’t do them, either,” she told me. Later that same day, I told another mom my daughters were making dinner that night–something they’d never done before in spite of being a tween and teen because I’m a control-freak, neat-freak mom who never cooked with her kids. “I don’t cook with mine, either,” she told me. Who knew two little words could be so freeing and uplifting? Sometimes I feel like I’m surrounded by moms who do. They do spectacular birthday parties and they do homemade hummus in Bento Boxes for school lunches and they do craft projects every day of the week and they do…everything. With their kids and for their kids. Which is great for them if they love it and if it charges up their mom spirits. I don’t begrudge them their doing. I don’t do and haven’t done and won’t do so many things. And the other day, my friends showed me that I’m not the only mom who doesn’t. Which felt like a gift. In case it feels like a gift to someone else, here are a few other things I don’t. I don’t have it all together. I don’t always get motherhood right. I don’t make my girls make their own lunches. I don’t make my girls make their beds before school. I don’t do Pinterest-inspired parties. I don’t like everything that goes with being a mom. I don’t know what I’m doing a lot of the time even though I’ve been at this a long time. I don’t make my kids do enough chores. I don’t switch my daughters’ schedules to “school time” while it’s still August just so they’ll be used to getting up early when September rolls around. I don’t have this all figured out. But, here’s what I do. I do love, love, love my children. I do delight in them. I do encourage and support their passions. I do long for them to continue to walk with God and to grow in their love and passion for Him. I do love spending time with them. I do pray for them and with them. I do talk to them. I do listen to them. I do want joy, peace, and hope for them. What I don’t do–what I leave undone–frees up my time and energy and passion and enthusiasm for what I do do–the greater thing. And the value of that is something I don’t have any doubts about. If you are a mom who sometimes doesn’t do, know this: you are not alone. I don’t, either. I found four pregnancy tests in my bathroom cabinet last week and I felt great joy and great sadness. Joy that three of those pregnancies resulted in three amazing and healthy children and sadness that one didn’t. Recently, as I approach what would have been my due date, I realized how much shame and sadness and confusion I still felt about having a miscarriage, and I have learned over this past week just how much God wants to shine His light into this area of my life…and if you’ve experienced a miscarriage too, just know that God wants to shine His light into your life too. May you be as open to His Healing Light as I was. And I will give you treasures hidden in the darkness–secret riches. I will do this so you may know that I am the LORD, the God of Israel, the one who calls you by name. I call you miscarriage when I talk about you, but why? You had a heartbeat. You lived inside of me for 42 days. We celebrated and jumped for joy the day we found out about you! It was a miracle. 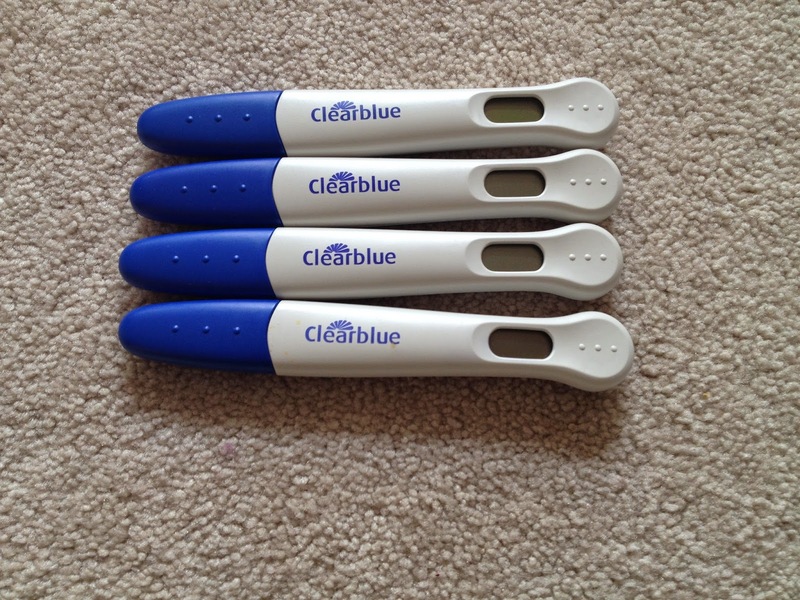 After nearly 4 years of negative pregnancy tests, you were the first positive pregnancy test I had ever seen! It was such a beautiful moment in my life, and yet, I ignored the fact that you were my first baby. Instead I label you as a painful miscarriage. You were a living being…a being who was stolen from my womb by death. I knew instantly. The minute I saw spotting, I knew you were gone. I was devastated. I cried all day. Tears that no one saw. Tears that only occurred between the fake smile I put on for my students. Tears that streamed down my face in the storage room during my four minute break between classes. Tears that I choked back into my throat until it hurt while I pretended to be excited about launching rockets that my students had built. Throughout the day, the tears only got harder to hold in and the bleeding only got heavier. But still I foolishly hoped. I cried in the waiting room. I cried in my appointment room sitting naked and cold in that horrid hospital gown. I cried in the ultrasound room as the doctor searched only to find that nothing was there. No heartbeat. Is it actually possible? Could I still be pregnant? Please, God, please! Even though I pleaded and I prayed, I knew deep down you were gone, and yet I let myself hope…just a little. Sure enough the bleeding got heavier. The cramping was excruciating. I never knew I had so many tears. I never knew that my heart could hurt so deeply. Huge clots came out and fell into the toilet. This can’t be happening. My husband raced me to the ER just for them to tell me something I already knew. You were gone. Hunched over in pain and in shame, I walked out of the ER with my husband by my side with nothing more than a “See ya!” from the ER staff. I was expecting something…anything. “So sorry for your loss.” “Praying for you!” Anything. I’m sure they see this every day, but I had never had a miscarriage before. I had never experienced so much pain in my body or in my heart. Having a miscarriage doesn’t happen to me everyday. But there was no sympathy. It was after midnight before we got home. I couldn’t sleep. I didn’t want to sleep. I didn’t want to sleep because I didn’t want to wake up and be hit with the reality of losing you. When my eyes opened in the morning, they were sore. I was sore. My heart sank. It wasn’t a dream. I didn’t want to get up. I didn’t want to get out of bed…ever! I wanted to put my covers over my head and never see or talk to or be around anyone ever again. Like a zombie, I got up, got dressed, drove to school, greeted each student, took attendance, and went about my day, launching rockets. It was like nothing ever happened. For everyone else, it was just another day. But for me, it was the day that I lost you. It was the day that I failed you. It was the day that I reached a new level of failure. I was no longer the woman who couldn’t get pregnant, now I was a woman who couldn’t take care of her baby well enough to stay pregnant. I was the woman whose womb was unfit for a child to grow in. I hated myself even more than I already did. I fell deep into a depression like I’ve never known. I felt helpless and completely hopeless. I felt guilty. I felt full of shame. I felt that God hated me. What could I have done differently to care for you? How could I have protected you better? I’m so sorry. I’m sorry that I didn’t name you. I’m sorry that I flushed you down the toilet. Was I supposed to do something else with you? I’m sorry I didn’t know what to do. I’m sorry that I let the enemy make me feel ashamed of you. I’m sorry that the enemy made me look at you and the miscarriage as the same thing, but that’s not right. You were just as much as a victim as I was. You were part of the enemy’s plans to steal, kill, and destroy. He killed you. He stole my joy. He destroyed my hope…or at least I thought he did. Over this past week as I stared at that fourth pregnancy test and as I’ve questioned God about the miscarriage again, He has shown me just how important you were in my journey. He showed me what a gift you were to me without me ever realizing it because you were a symbol of hope. In the midst of all of my disappointments…all of my negative pregnancy tests…all of my sadness, you were the glimpse of hope. You showed me that I could get pregnant. After thinking that I was never going to be a mom, you came. Thank you for allowing me to see that my body could do it! Thank you for giving me hope. Now, instead of crying tears of sadness over you, I can cry tears of joy. It’s been nearly seven years since I lost you and God has finally healed my heart. He has also shown me that now that I’ve acknowledged you, my family can be complete which is something I’ve really been wrestling with lately. I am blessed to have two boys and not just one, but two girls! 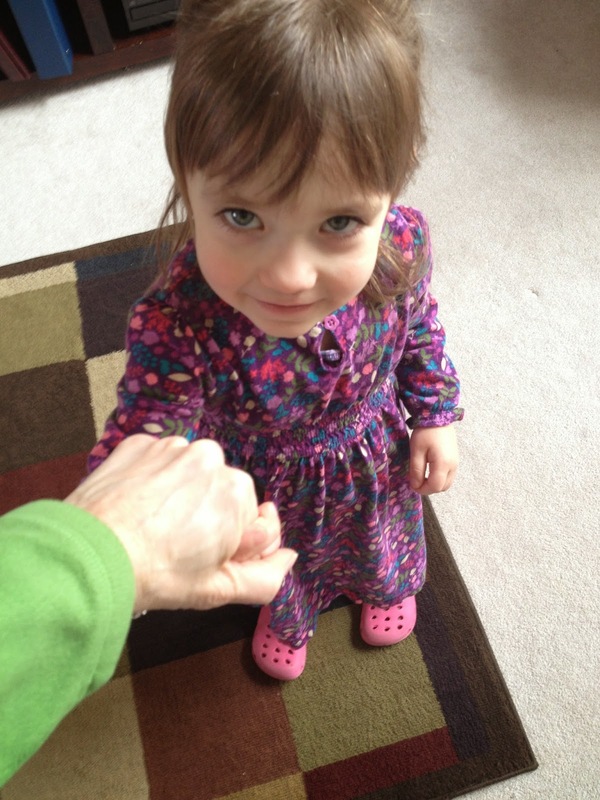 Today, as I dance with my daughter, your little sister, here on earth, I know that you are dancing in Heaven with Jesus. Thank you for allowing me to be your mom. I can’t wait to meet you some day…Marion Hope Leeb. Father-thank You for finally shining Your Light into this area of my life…this dark corner of my soul…this pain that I have suppressed for so long. Thank You for continuing to reveal places in my heart that need Your light and Your love. Thank You for redeeming this sadness. Thank You for showing me the treasures in this darkness by revealing the hope that I was given through this child. Thank You for bringing me joy over the daughter that I never had an opportunity to meet. Thank You for taking something that the enemy meant to rob from me and breathing new life into the purpose of this pain. Be near all my fellow sisters who have experienced the agony of a miscarriage. Bring healing to their hearts. Embrace them in Your loving and comforting Arms. Free all of us from any feelings of guilt or shame or blame. Allow us to feel Your presence and bring us all peace knowing that You are with each and every child that has been lost through miscarriage hugging them, holding them, and dancing with them in Heaven. Bring hope to all! In Jesus’ precious name. Amen! You are welcome here, dear mom! 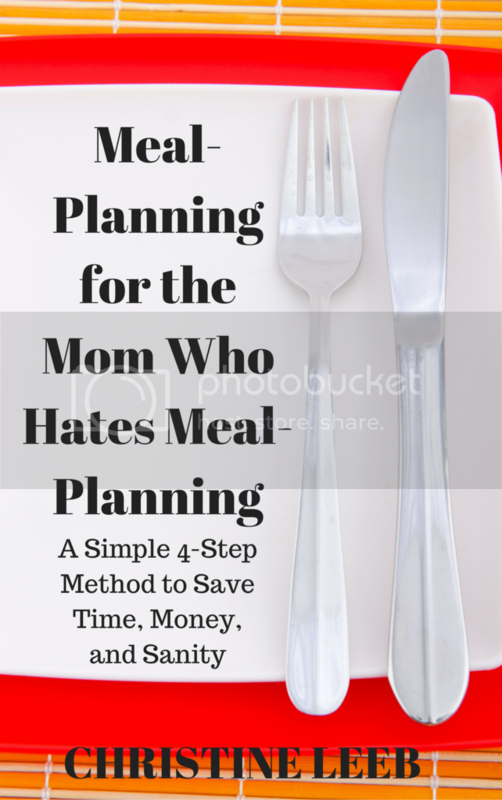 Your free ebook for joining our mission–with meal-planning tips and tricks to save you time, money, and sanity!